When will be The First 48: Houses of Horror next episode air date? Is The First 48: Houses of Horror renewed or cancelled? Where to countdown The First 48: Houses of Horror air dates? Is The First 48: Houses of Horror worth watching? 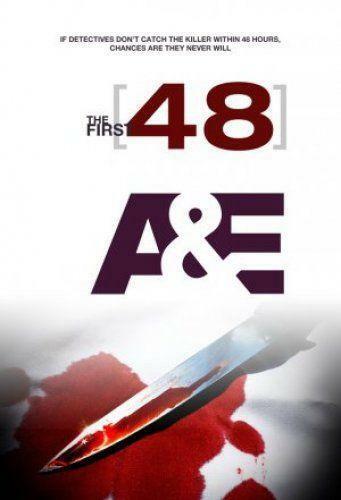 "The First 48: Houses of Horror" revisits episodes of A&E's franchise hit series "The First 48" with updates on the cases provided by the detectives involved in those cases. An Atlanta woman is found naked and strangled to death in an abandoned house; the investigation into the crime reveals more disturbing facts. Detectives seek the public's help when an unidentified body is found dismembered and burned in a Dallas field. A man arrested for a domestic dispute notifies the police that his boyfriend buried a body in the basement. Minneapolis police investigate the stabbings of a mother and her 10-year-old son. The First 48: Houses of Horror next episode air date provides TVMaze for you. EpisoDate.com is your TV show guide to Countdown The First 48: Houses of Horror Episode Air Dates and to stay in touch with The First 48: Houses of Horror next episode Air Date and your others favorite TV Shows. Add the shows you like to a "Watchlist" and let the site take it from there.